Parks and Recreation is a sitcom created by Greg Daniels and Michael Schur who produced and adapted The Office for American television. It too, is shot fly-on-the-wall style. 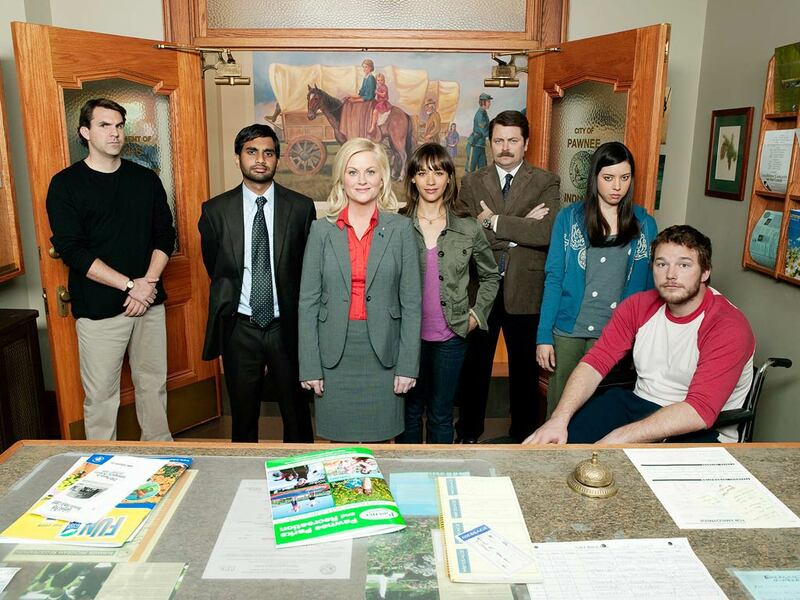 The series follow the lives of the public servants who work for the Parks and Recreation Department in the fictional Indiana town of Pawnee. The show’s main character is the Department’s deputy director, Lesley Knope (Amy Poehler). The first season of P&R took a few episodes to warm up, now in the second season the show has found its groove. If you’re not a fan of Poehler’s work on Saturday Night Live or Baby Mama, this series may sway you. Her characterisation of the upbeat and steely Knope is nuanced and funny – a benevolent Tracy Flick, if you will. The series is well-cast and the situations and characters continue to develop. Australian viewers who want to track it down need will find it on Channel 7 late on Tuesdays. And for those of you already in the know, you will be aware that the hardest rocking band in Pawnee is Scarecrow Boat. Check out their site. I saw the first couple of episodes but was a little put off by its similarity to the US Office – it might’ve been one-too-many awkward glances to camera. Glad to hear it seems to have found its feet. I do like Amy Poehler. You’re bang on with the Tracy Flick comparison too. I think I may have to check it out again.